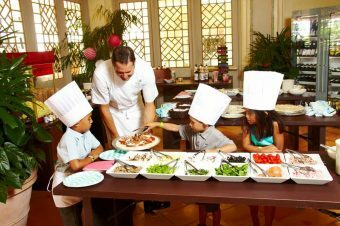 When you book your family vacations, do you intentionally create moments of play? 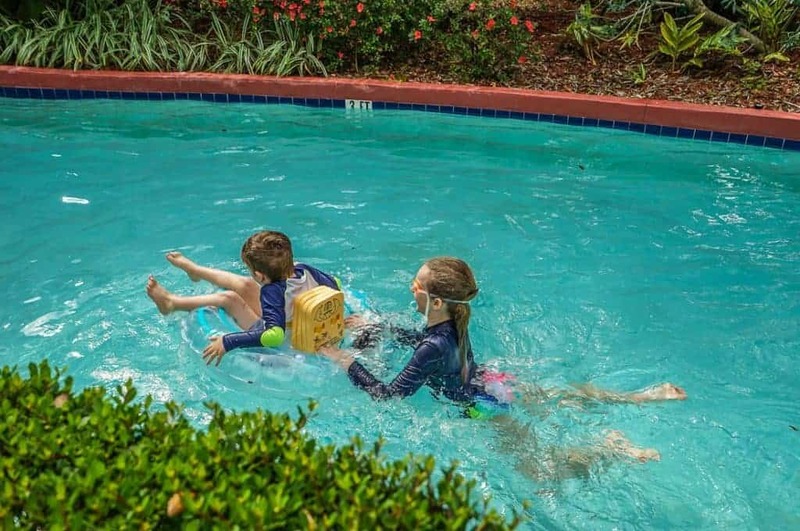 Sitting under an umbrella beside a pool, I was enjoying the sensation of a wet swimsuit sticking to my skin, providing an air conditioner for my body in the Florida heat. The weight of a damp towel wrapped loosely around my legs and waist felt like the gentle anchor of being swaddled like a baby. My left arm served as an armchair for my baby, my five year old son, who reclined into me completely still as if asleep. We were awake; my family of four sat motionless listening to the steel drum version of “Wind Beneath My Wings” playing from speakers under palm trees in the shape of rocks, without having to watch a middle-aged groom and his mother dancing awkwardly to it. “The cobbler’s son has no shoes” is one of truest adages I know. My daughter had commented recently that, despite my gig as a luxury family travel writer, we never take a “real vacation” because I am working the majority of the time taking photographs or having meetings. So I decided to book us that real vacation, seeking the perfect balance of family fun and relaxation. I wanted a good pool with a lazy river and maybe even a water slide. But I didn’t want the stress of crowds. I wanted to reach a mental state where I was ready to play. I’m not a parent who plays on the floor with my kids very often; and my mom didn’t really play with me. But, I’m always up for playing in those moments that make me really present with my kids—the dance around the kitchen while cooking dinner, a family game of hide and seek (I always win! ), or a night of board games. After a long and stressful winter, I wanted to play in the sun. Lazy rivers are popular at grand pool complexes in Las Vegas, but they are challenging for families to enjoy. Our experience has involved really intoxicated hotel guests with beer cans around the sides of the pools. 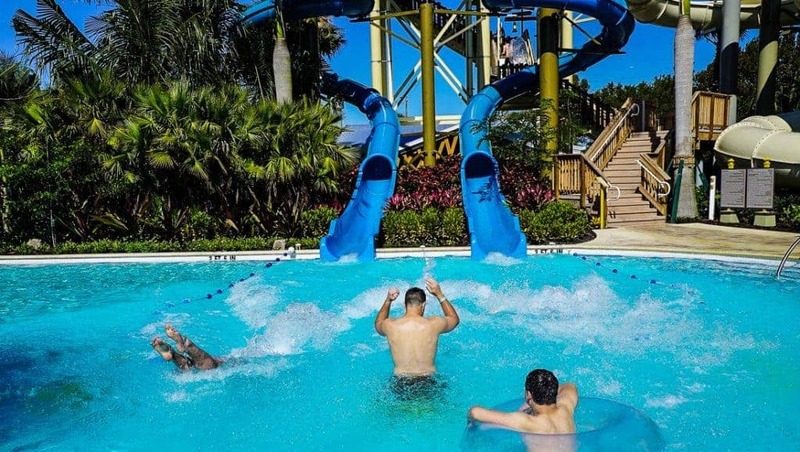 Florida’s lazy rivers are much more family-friendly. 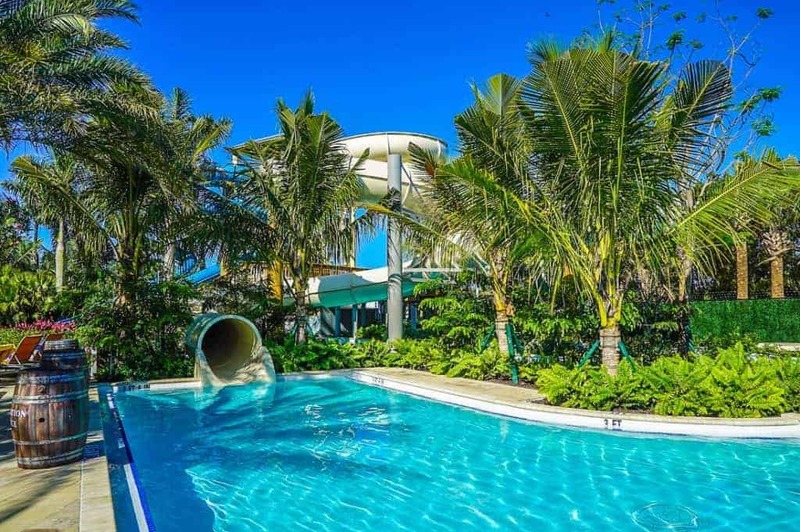 We chose the Hyatt Coconut Point, north of Naples, for its new lazy river and water slides that just opened in November of 2016. (Check your dates for rates.) 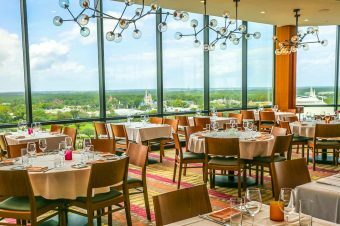 It’s a hugely popular convention hotel which means that many of the hotel guests are traveling solo, and I knew we wouldn’t be overwhelmed with too many families at their facilities. 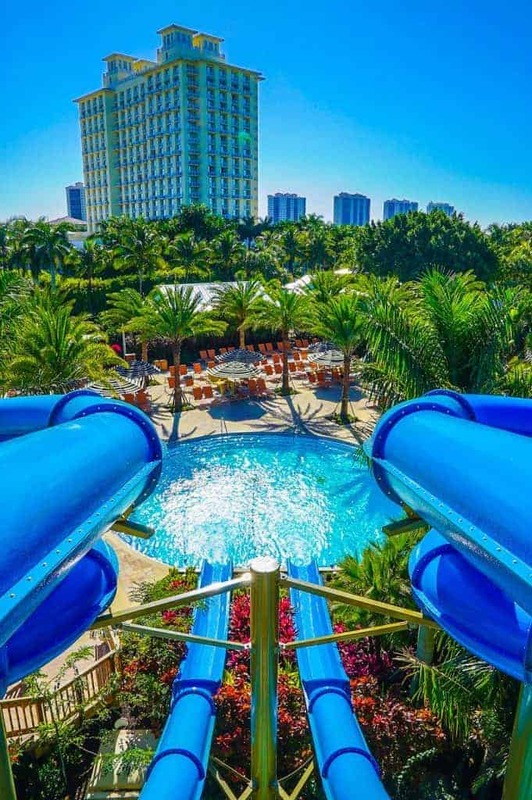 The Hyatt Coconut Point now has four waterslides and a lazy river. By 10 A.M. on our first morning, we were poolside and ready. My camera was, for once, locked in the hotel safe, and I actually got in the water. 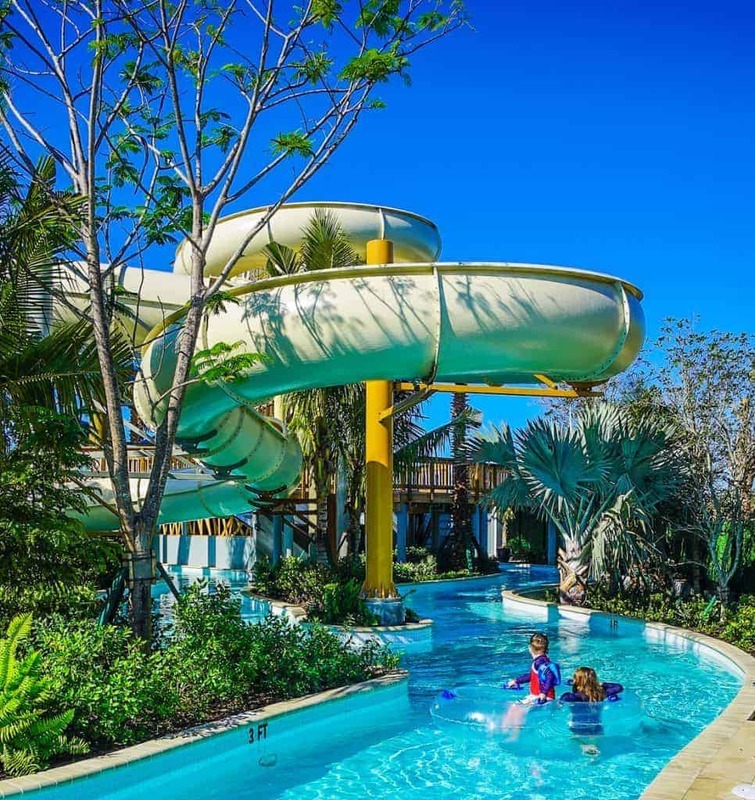 After trying each of the new water slides, with my favorite being one that my daughter and I could ride together in a double inner tube, all four of us spent most of our time in the lazy river. At first we used the inner tubes, and then we decided to drift in the forced currents on our own. We lapped the course at least fifteen times, noticing each trip taking us all to a deeper state of relaxation and play. A grandmother would float by us in her inner tube with her 5 month old grandson sitting on her lap, finding the experience as soothing as every ad for an infant swing promises. 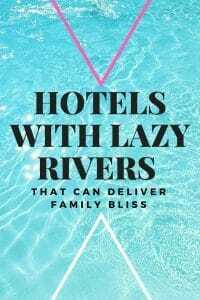 Our family experimented with different ways to move down the lazy river—swimming, floating, bouncing on one foot, and we found that we reached a state of laughter and connection that really filled us. Compared to swimming in large pools with our kids, lazy rivers are easy on parents. We venture side by side. We all move in the same direction, and no one gets lost. 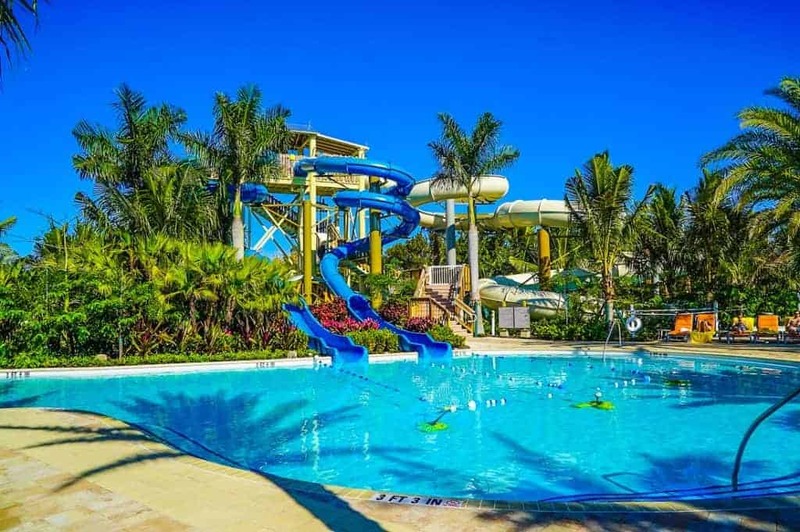 My daughter and I had impromptu conversations with others wading by, and we got more adults to try the waterslides who weren’t planning to sample their pleasures. 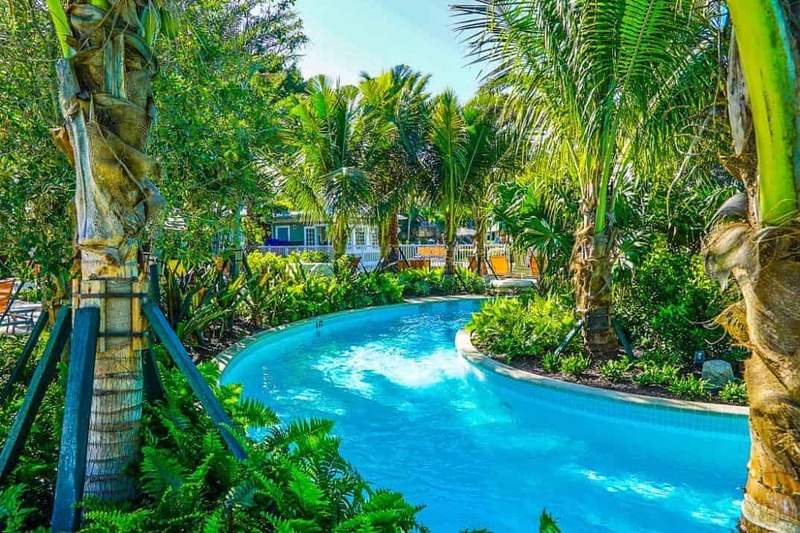 The new lazy river and waterslide pools at the Hyatt Coconut Point. A wedding party of young couples had parked for the day near us, and two groomsmen with an obvious history of rivalry continued to compete for the best time down the speed slides. I had my camera with me for a few minutes and shot the competition, like a video replay of an NFL game, so I could see who really won. The winner’s bulky, hairy legs were always elevated with his feet tightly together, with toes pointed in second position. The winner of the speed slide has grace only matched by his leg hair. Play is such an important ingredient in happy family life, and it can be found on the kitchen floor, at local parks, or family vacations. The Genius of Play Foundation offers hundreds of ideas for free family play. I had to decide and prioritize how we could enjoy play most as a family on this vacation. 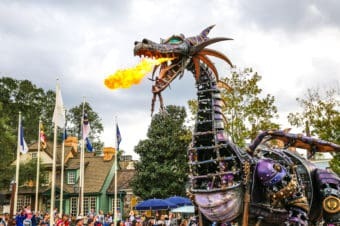 Too much culture for my husband and I or too much over-stimulating theme park experiences for my kids would not have yielded the same results of shared joy. When so many of our family mottos might be “Just keep swimming” as we try and stay afloat in the demands of modern parenting, a lazy river is a welcome moment to stop and drift together. Where are you going to play with your family? Check your dates for rates at the Hyatt Coconut Point. 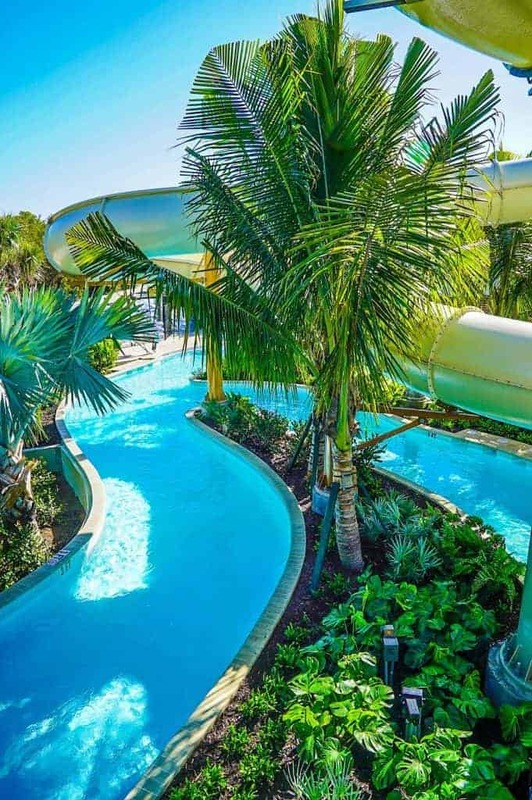 Guests of the Waldorf Astoria Orlando can use the lazy river at the Hilton Bonnet Creek, which shares the same property. We’ve featured all the best Orlando properties. Here are those that have lazy rivers. This is a sponsored post by the Genius of Play who wants to promote the benefits of play for kids and families. This article and my interpretation of play are my own opinions and experiences. Thank you for posting all of the amazing photos! Not a single cloud in the sky! We are planning a trip to this resort next December and the main draw is the new waterpark area. And yes, all work and no play isn’t good for anyone! I can so relate to this. Like you, I’m not great at ‘play’ but I love, love doing things with my kids. We always strive to strike a balance when we are away so that we see things and go to places but that we also have time to just “be”. Wow! So eye catching. It looks like paradise, wouldn’t mind find finding me and my kids there sometime.